This is a very common 0.01uF capacitor. Used on all sorts of applications to decouple ICs from power supplies. 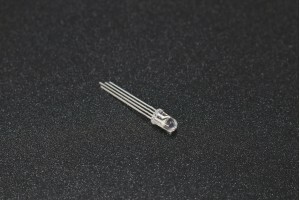 0.01" spaced leads make this a perfect candidate for breadboarding and perf boarding. Rated at 50V. The LM386 is a power amplifier designed for use in low volt-age consumer applications. The gain is.. The 4-Digit 7-Segment Display is a self-contained module containing four 7-segment LED numeric dis.. The LM555 is a highly stable device for generating accurate time delays or oscillation. Additional..